Happy Days fame Ranadhir, has been doing roles one after the other. He is now back with a major role in his latest release April Fool. On the eve of the film’s release, we caught up with Ranadhir for a brief chit chat. Let’s see what he has to say. Q) Tell us something about your role in the film ? A) I play a very important role and get to portray different shades throughout the film, which was a huge challenge for me. Q) How was it working with seasoned actors like Jagapathi Babu, Bhoomika and Gulshan Grover ? A) It was an amazing experience. Initially I was a bit apprehensive, but as the shoot progressed, I had a wonderful time working with them. They never behaved like stars, and helped me a lot during the making. Q) Do you have any dream roles in your mind ? A) No ! Not any thing in particular. I want to do roles which are tough to portray, and would surprise the audience completely. 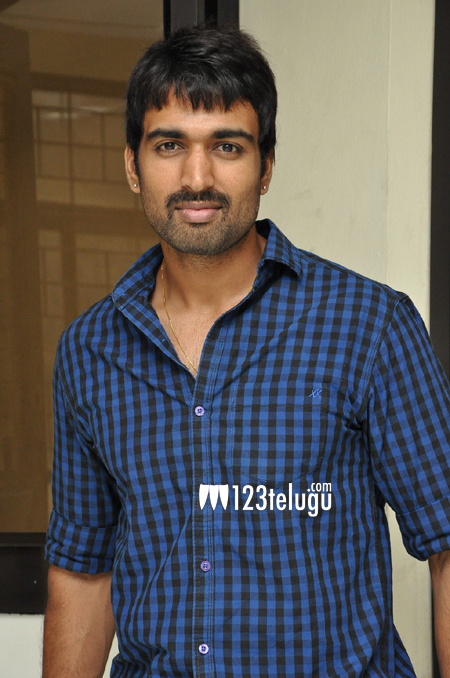 Q) Tell us your experience working with the director Srikanth ? A) Oh ! Srikanth is like my guru. He taught me a lot during the making of this film. I had a scene where I had to mouth a six page dialogue. He helped me so much during that scene and taught me where to pause the dialogue and where to end the scene. Q) What do you look for when signing a film ? A) The story has to excite me first. Story is the hero of any film. Once the story is strong, I don’t mind playing any character. Q) Tell us about the other characters in the film ? A) There are some seasoned actors like Vennela Kishore, Dhanraj, Tagubothu Ramesh in this film who have important roles.